Area: 151401 sq km. Location: The Columbia Mountains are located in southeastern British Columbia, west of the Rocky Mountain Trench. 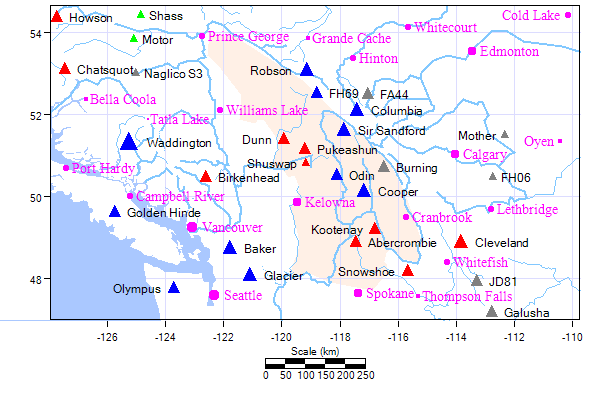 They are made up of four large ranges: Cariboo, Monashee, Selkirk and Purcell mountains, which together straddle the headwaters of the Columbia river.